The Reactor is a classic! When you think of waterskis, these are probably what pops into your head. Our most "traditional" pair of skis, they have a bit narrower profile than our other pairs, making them a little more maneuverable. But they are still surprisingly easy to get up on, with tunnel channels for stability and performance. 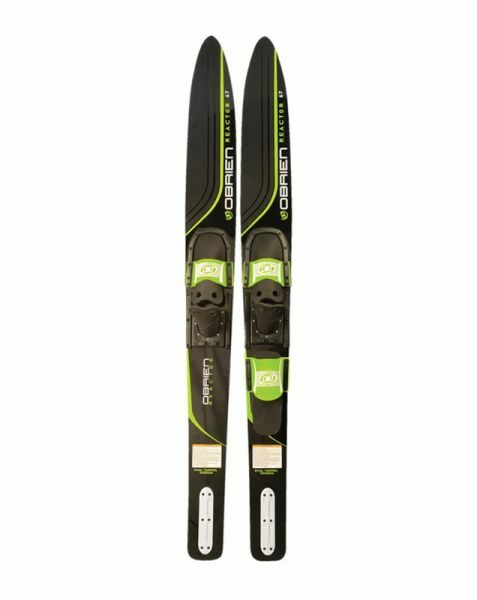 These are also our most value-oriented skis. You can't go wrong with the Reactors! Kapcsolódó linkek "Combo Reactor 67 w/700 RT"
Vásárlói értékelés "Combo Reactor 67 w/700 RT"